You can read detailed feedback in our beta forum. If you have not yet downloaded and installed the beta, the latest and final beta release, Beta 3, is now available. For those who have tried the Zimbra Collaboration 8.5 Beta, we would love to get your overall impressions of the beta release experience. We’ve prepared a brief survey where you can provide additional feedback to help us continue to make improvements. Thanks again to all who participated in the beta program. 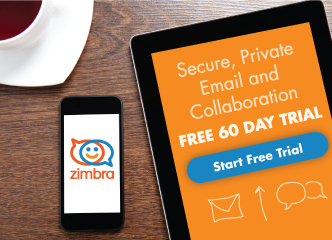 Zimbra Collaboration 8.5 will be released later this summer, so please continue to read our blog, newsletter and forums for product announcements. What happened with Always On? I didn’t see any of that in the previous beta. Has that been scrapped for 8.5? Also in installation, you can install Mailbox Role and MTA role with o without web server mode, so this is the first step, for build a distributed architecture with mailbox role only with MariaDB running and syncing data, and other mailbox role serving only the webmail. My point was that there was nothing on multi-master (or failover) mailbox nodes in this beta, as far as I could see. Earlier last year there was a post about storage becoming multi-master (or at least failover) capable, I am wondering if that is still futuristic? Always On is being delivered in two phases. Phase 1 in ZCS 8.5 includes the switch to MariaDB, splitting the web client from the mailbox server nodes, and a lot of internal work to prepare for the distributed architecture coming in Phase 2. Well done to all the (telligent) team for the hard work. Build system is still pretty broken. The worst part is the messy 3rdparty bundling. You _really_ should use the OS provided packages. And looking at the SCM history is pure horror. Ever came to the idea that it might be a good idea putting one semantic change into one consistent commit instead of committing it 5 pieces ? These complex merges also dont actually make following/reviewing history easier … ever heared about rebase ? it’s still pretty bad – I’d consider that codebase alpha stage. the third party bundly may seem messy but totally make sense. specially when you look at the different culture within the distributions. you cannot allow someone to upgrade a package by its distribution and may break zimbra for good. zimbra would have to shoot out patches to cover those breaks by updates for every distribution. further an update doesnt mean nessesarly its a good thing (iam looking at you ubuntu) so while still relying on opensource technologies NOT relying on a distribution in that very delicate and complex bundle is the only way togo. the other option is just messier than this. btw: zimbra is one of only a few if not the only one who was able to provide a stable and most of the time hasslefree upgrade path over year and years, even across multiple major releases. saying that this is codebase alpha is a joke at best.